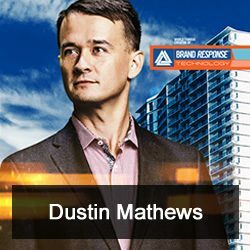 Dustin Mathews, founder and CEO of Speaking Empire, joins Jason Hartman to discuss whether long copy is still appropriate in today’s society, how to make a presentation that will engage your audience and help you sell your products, the power of step-by-step processes, and many more tips to help you become more successful than ever. Dustin’s primary mission with his company is to teach people to communicate powerfully, unlocking their full potential, and guide their business into the next level. His latest book is NO B.S. Guide To Powerful Presentations: How To Sell ANYTHING With Webinars & Online Media, Speeches & Seminars.